The Leatt 4.5 Pro Youth Chest Protector is part of the latest Leatt collection. 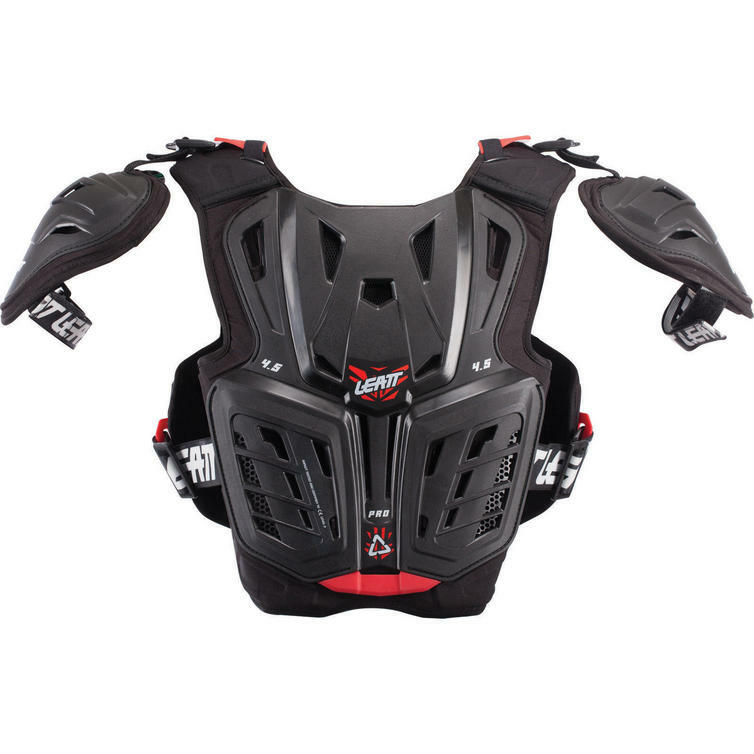 This Leatt 4.5 Pro Youth Chest Protector features the same technology as the adult version with a 3D design that ensures the perfect fit for junior riders. With CE certified chest, back and shoulder protection as well as the additional flank protection, this chest protector is far more than just a chest protector. It is constructed from both deflecting hard shell and 3DF AirFit soft impact foam, a revolutionary substance that is soft to ensure a comfortable fit but absorbs energy when subjected to impact in a crash. The multi-layer, multi-plate design promises a comfortable fit ? and a Leatt neck brace will integrate comfortably with the protector. The level of comfort is enhanced by the ventilation slots that provide maximum airflow. 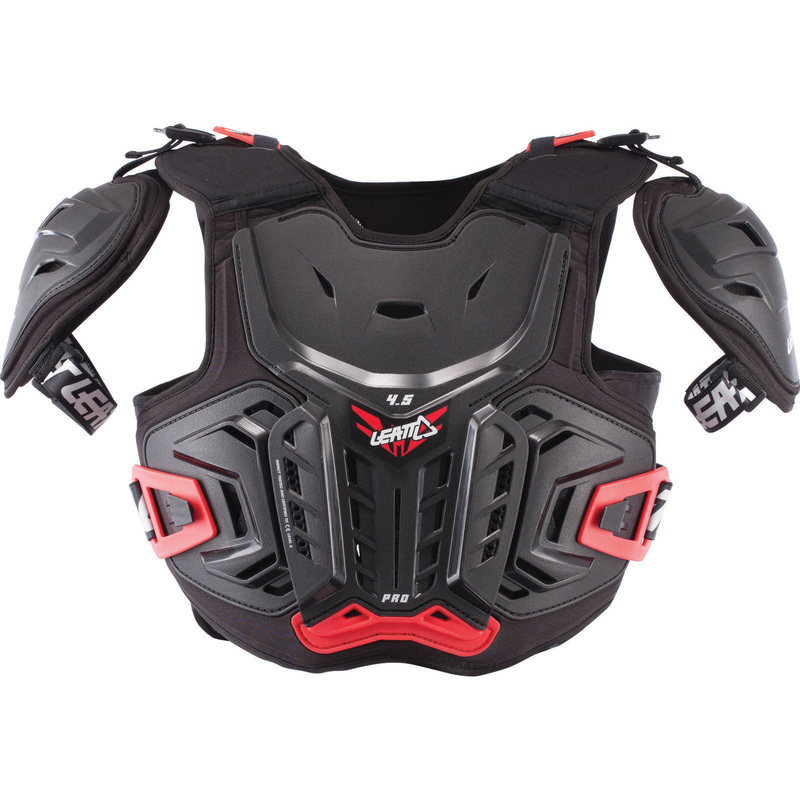 The 4.5 Pro Youth Chest Protector scores a total of 17 points in the Leatt protection rating system.